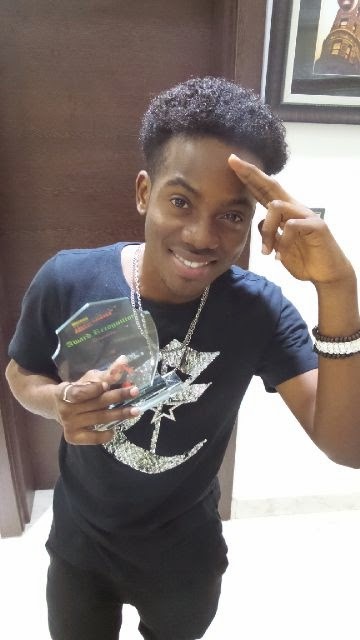 Korede Bello has added another feather to his cap as he smiled home with the prestigious Most Promising Music Act To Watch award at the just concluded Nigeria Teen Choice Award. This is coming bare two weeks after releasing his second official single as a Mavin Act, #ColdOutside, a song that rocked the airwaves like wildfire. This shows that the young act is here to stay as we expect my hit banging singles from him as time goes on. Korede Bello has done African Princess on the label and has also collaborated with his label mates in the most popular song of the year Dorobucci and the follow up single Ada Obi. If you listen to his part of the song, you will know that Korede Bello will find a place in the heart of many Nigerian and African girls. Congratulations Korede Bello. We hope to see you pick up the Grammy Award someday. "